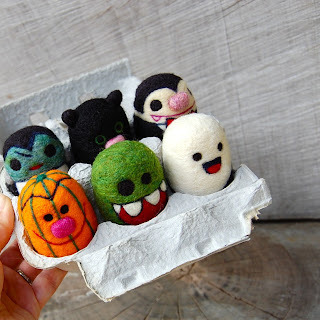 Looking for green Halloween goodies that won't take a 'horror'ible toll on your little one's pearly whites? 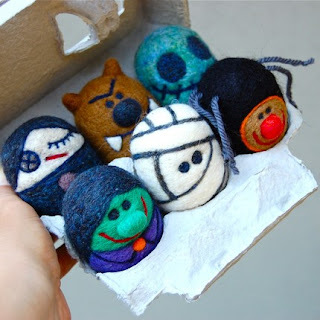 Asher Jasper offers an array of spooky little egg toys which are needle felted from pure merino and mohair. Halloween loving tots can play with them year round, or they would make great party favors, decor, or trick-or-treat offerings for special visitors. At $85 for a set of 6, you may have to scare up some cash to invite these creatures into your house however!